A great day at Starbucks! It must be a great day at Starbucks. January 5, 2016, it’s the start of the double sticker days at Starbucks that will run until January 8, 2016. Consequently, I have to grab a cup so I got a double sticker—I need 5 more stickers for my third Starbucks Planner which I intend to give to someone. 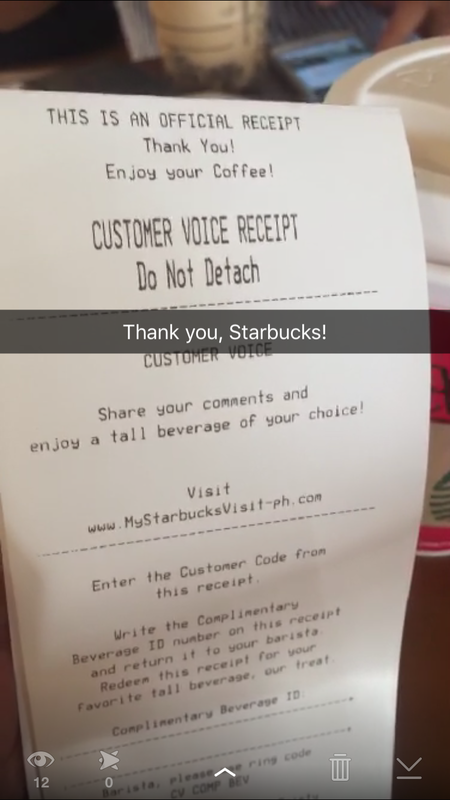 Also at the same day, I got my 9th Customer voice receipt. That means FREE COFFEE! As if my luck is bottomless, I also received on that day a package sent via 2Go. Can you guess from where it was from? Yes, Starbucks! 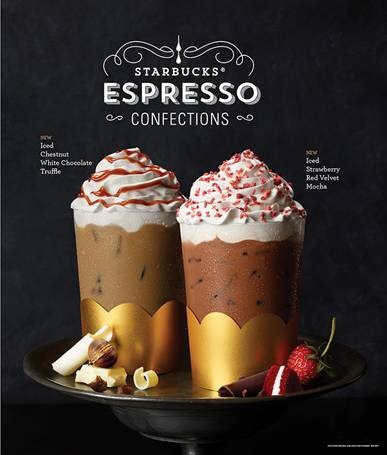 Starbucks introduces its Starbucks® Espresso Confections line: the Strawberry Red Velvet Mocha and Chestnut White Chocolate Truffle. These decadent beverages are inspired by the elegance of candy confections with flavors that can only be found in the finest boxes of chocolates, but only perfected as beverages by Starbucks® baristas – our true espresso artists. These will be available beginning January 8, 2016. 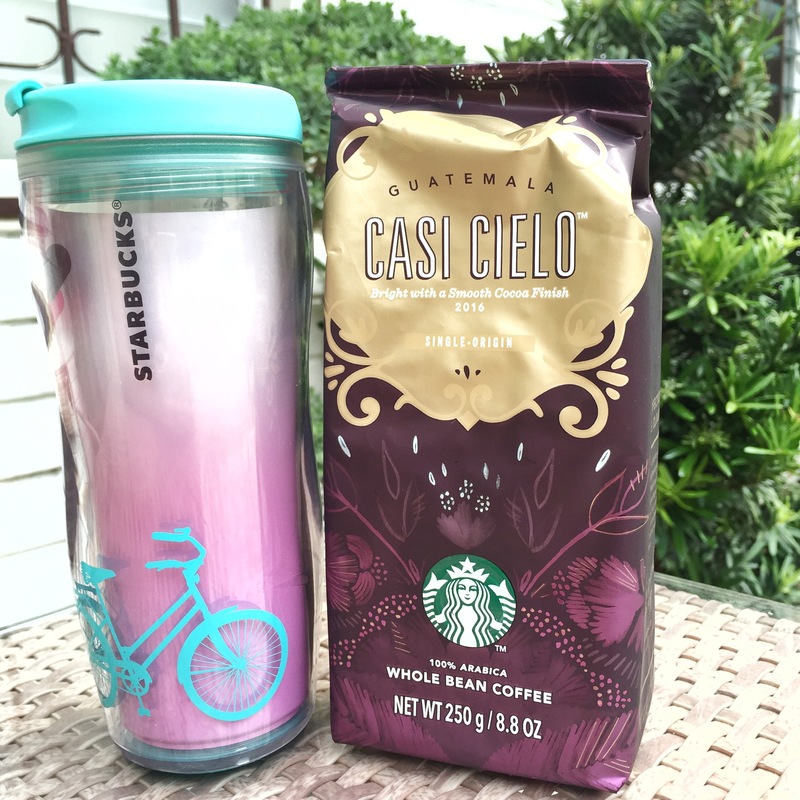 For this season, Starbucks will feature a collection of masterfully roasted packaged coffees that celebrates Starbucks® passion for coffee and pairs well with sweet Lunar New Year treats such as the Guatemala Casi Cielo. A Latin American coffee with elegant flavor complexity, a unique floral aroma, lemon-like acidity and dark cocoa finish. These coffee beans are expertly roasted to showcase subtle floral aromas, citrusy brightness and lingering chocolate taste. It is a remarkable coffee with a depth and versatility, perfect for a variety of special occasions at home. 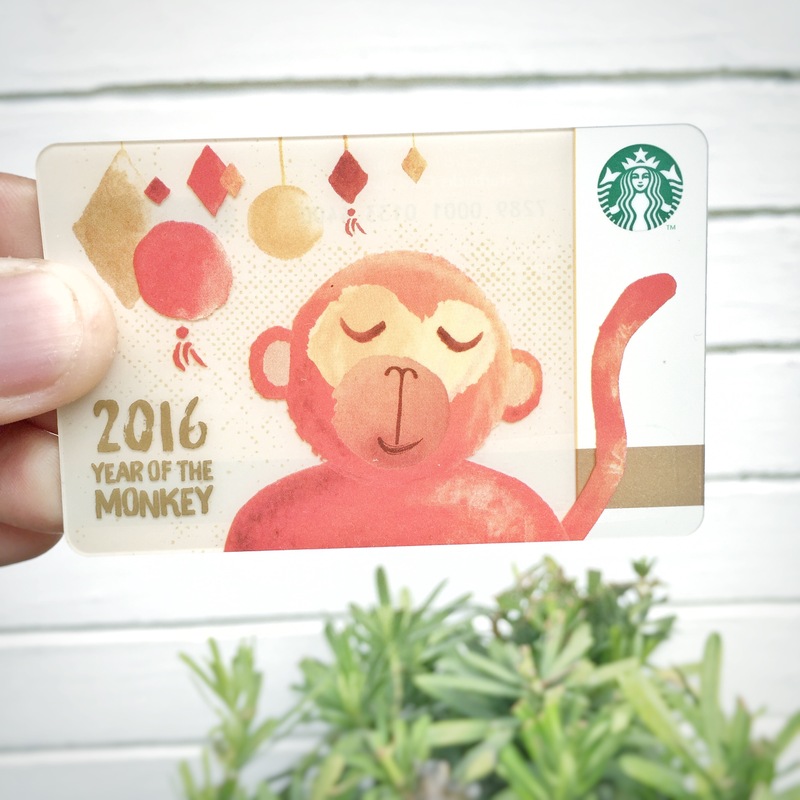 But my favorite among the new items from Starbucks is the Starbucks Lunar New Year Card that celebrated 2016 as the year of the fire monkey. Get yours now. It’s best for luck!